New Castle County Executive Matthew Meyer spent part of Friday, June 8th on WDEL's Susan Monday show, attending the Pets In The Park event at Glasgow Park. He was speaking on air about the virtues of county and regional parks, and how valuable they are. He said they are a source of healthy physical activity, and that NCC's focus is to now make connections between different parks so that people can walk and bike to them. He spoke very enthusiastically of parks, almost convincing one that he actually supports them. What a colossal joke Meyer is, and what a slap in the face to the people of Ogletown. Meyer, himself a cyclist -- or so he claims -- willingly sacrificed the Orphanage Property in Ogletown-S.Newark, which was the region's last chance to have walkable and bikeable access to such a facility. The nearest access is, and always will be a ~20 min car drive away in either Glasgow or Pike Creek. Meanwhile, Meyer continued on -- talking about the benefits of Rockwood Park, the Delaware Greenway in Wilmington, possibilities for parks in Middletown, etc. He will need the votes of N. Wilmington (and Middletown, the Parks Transition Team's #1 priority for parks) for re-election, and seemingly, has them locked up. 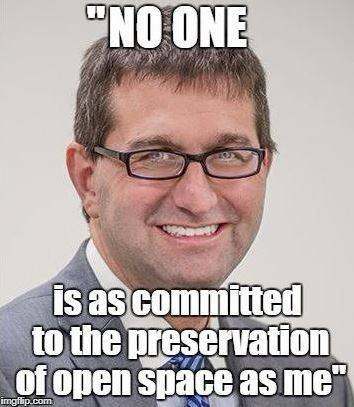 Meyer will not be getting votes from the humble people in Ogletown-South Newark and beyond, unless they enjoy losing open space, more noise, more light pollution, dirtier air, and sitting longer in traffic -- yet he seems accepting of that fact. 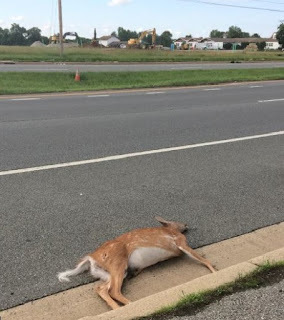 Before the actual construction takes place, we in the Ogletown region are condemned to the huge dump trucks and heavy machinery, and the dead animals that line the roadway are the region's new reality. There will be no beautiful park for us to enjoy, unless we drive to one that isn't ours. 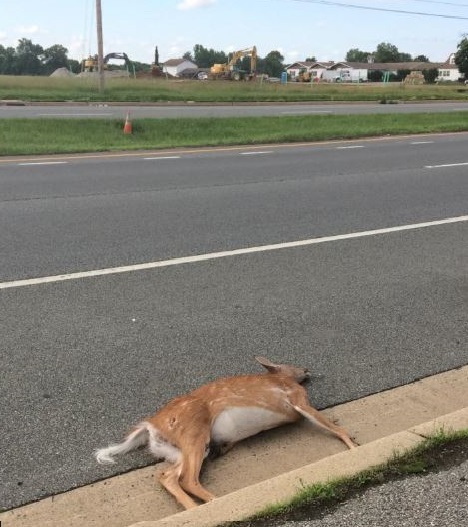 And having to drive to a park is contrary to the Liveable Delaware initiative that former Governor Ruth Ann Minner wanted for us, one where everyone would have access to clean, healthy spaces, and be protected from excess development. Meyer knowingly threw away saving the Orphanage Property. He had a STOP buyout deal in the palm of his hands, but simply wouldn't close it, which is a crime in its own right. 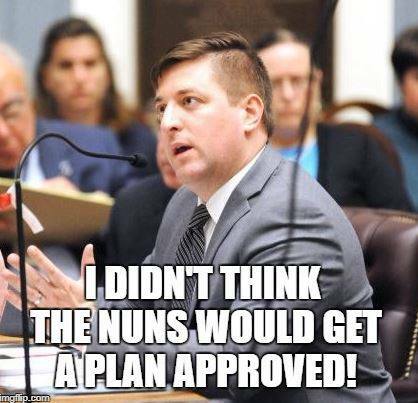 But had Senator Townsend, Rep Osienski and NCC's Diller engaged the Community when they first learned the Sisters wanted to build (as far back as 2011), and had they engaged the then County Executive Tom Gordon, who had a stellar record of obtaining parkland (including Glasgow park! ), our outcome could have been entirely different. Instead, those three local Legislators were secretive about the Sister's plans, when going public could have made all the difference in the world. So the public didn't know that the Orphanage Property was facing destruction until it was already committed, but the Legislators sure did. They knew of the project as early as 2013, over two full years before the public gathered at Holy Family Church in July 2015 to learn about the plans, already well underway. When confronted by Advocates and trying to defend himself, Rep Ed Osienski even arrogantly stated on Facebook "Many feel more public notice and a four-year, instead of a two year, community grassroots campaign would have made the difference. I don’t believe that." Additionally, long periods of time went by where Townsend and Osienski failed to touch base with the Sisters, to check on the progress of their plans. And so this is why we hold ALL four Legislators accountable. The Chestnut Hill "Preserve" should NEVER have got to the advanced stage that it did. Steps to save it should have been taken years earlier, with Legislators putting their jobs on the line if necessary. That is the mark of true leadership; putting the greater good ahead of your own political aspirations, which we now know is a foreign concept to Townsend, Osienski, Meyer and Diller. The focus now must be replacing these Legislators with leaders who will truly look out for the citizens that they are supposed to protect.